ACCEL HP Spark Plugs are made with a Copper core which is a better conductor than Platinum and Iridium. They deliver a stronger spark especially in high performance applications where high combustion pressures are present. Copper is much better at dissipating heat than other materials which lessens the chance of a misfire. 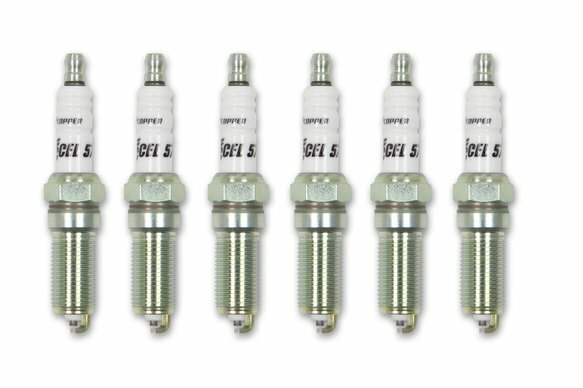 ACCEL HP Spark Plugs are gapable allowing you to open the gap exposing a larger flame kernel or close it if needed for high boost applications. All ACCEL HP Spark Plugs have machine rolled threads allowing for a more precise thread engagement and torque retention.